Suite 204 is a second floor, recently upgraded, unit whose paint colors and wood accents create a breezy waterfront atmosphere. Comfortable furnishings in the living area encourage naps or a movie night gathered around the flat screen TV. The living room has a sofa sleeper and private terrace with breathtaking waterfront views. The master bedroom has a queen bed that coaxes you into a contented night’s sleep. This bedroom also enjoys a full-size dresser, closet, and a flat screen television. The bathroom has a one person vanity, granite counter top, and shower. 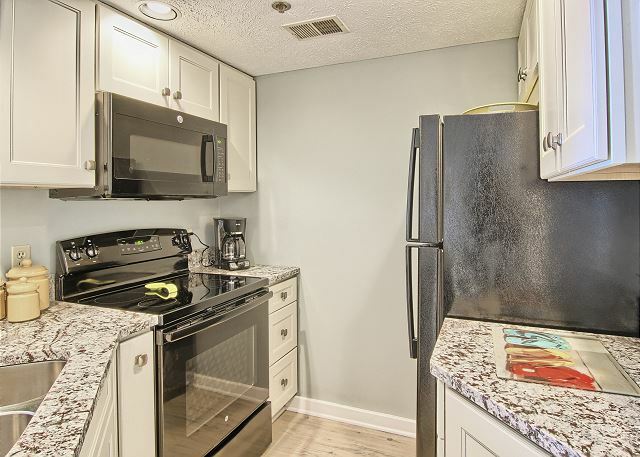 This condo has a fully equipped kitchen, with new appliances and granite counter top that is great for preparing meals and there is a small dining area with seating for three and a breakfast nook area with additional seating for two. We enjoyed our stay at North Shore Inn. 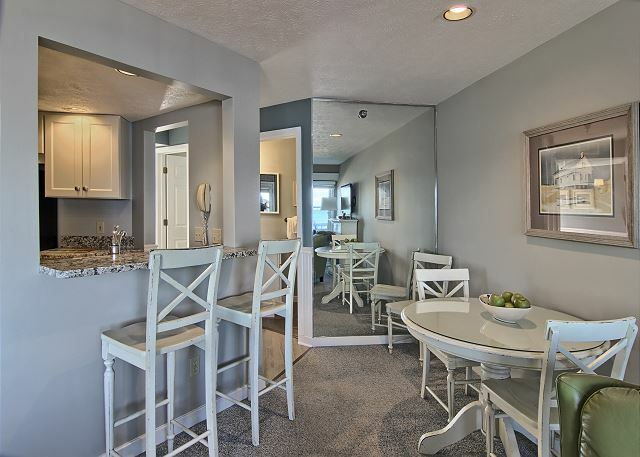 Condo #204 was beautifully remodeled and tastefully decorated with a soft beach theme. Loved the views of the bay and the worm cozy fireplace. Everything was clean and well stocked. The only complaint we had was checkout was 10 instead of the usual 11 at all other hotels. But overall an enjoyable stay. My husband and I so enjoyed our stay at 204 Nortth Shore Inn! The condo was so cozy and nicely decorated! Being right on the water was a plus! Even though it snowed and we couldn’t sit on our patio.... it was just beautiful!We lost power our first night there and no hot water in the morning but the property manager got right on it and it was fixed. We were really impressed by this! We definitely will be back! Very nice condo. It was decorated very nicely and was just enough space for my husband and I. The balcony is nice. The only downside was the stand up was VERY small, so it was a tight fit even though I am not a large person. The bed was also very soft, so if that's an issue for you, be prepared. I thought it was comfortable, but it was difficult for my husband. It is also a small bed. Overall it is a lovely place. This was a super cute unit - very nice decor and clean! 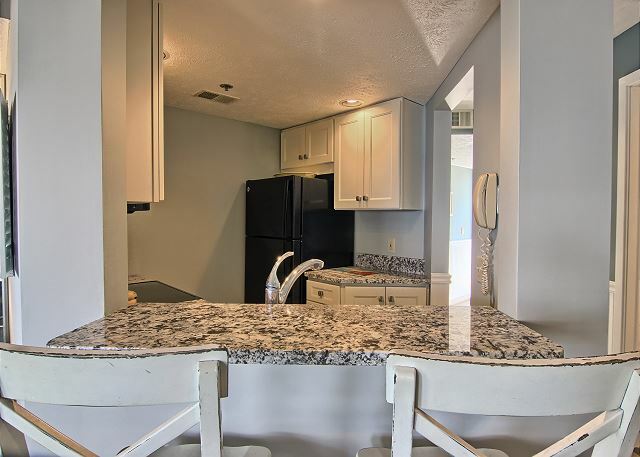 Also has nice upgrades like granite counters in the kitchen area and bathroom. It has a view of the lake and was plenty of space for two people. I will mention that the shower is very tiny. We did have one issue during our stay - there were no sheets for the pull-out sofa bed! My email confirmation stated they could be found in the bedroom closet. Only two pillow cases and a spare blanket were in there. We checked all the drawers and closets; no sheets to be found. My email confirmation also stated that the office hours through October were until 10pm (closing at 5pm starting in November). I was happy when I realized the sheet situation at 9:40pm since they would still be open. Apparently they did not update their email confirmation and their office now closes at 5pm. I called the emergency line and received a call back letting me know there was no way to get sheets. This was a disappointing part of our stay. I was given 10% off for having no sheets. It was a nice gesture but seems like more should have been done. Hi Sara, Thanks for leaving feedback. We are glad to hear you enjoyed your unit and that it was clean. We truly regret the sofa sleeper linen wasn't provided. More importantly, we regret the linen wasn't delivered to you as part of our standard process using our on call staff. This was learning opportunity for our team and we truly regret the mistake. Please give our general manager Scott a call and he'll more than make it right with you. - North Shore Inn Mgmt. place was clean. Only a couple of things missed. Only recommendation would be a full size blanket for the sofa sleeper for future guests. We loved the location, the deck, the view of the water and the décor of the condo. The kitchen was very attractive and well supplied. The whole unit was clean, updated and classy! While on our annual Fall color tour, we stayed at the North Shore Inn, instead of the usual hotel room. It was very nice to have a full kitchen, and a balcony overlooking Grand Traverse Bay for the same price, if not less than a hotel room. It was an unseasonably warm Fall day, so much time was spent on the balcony! The bathroom was smallish, and would have preferred a King bed over the provided Queen, but for the price it was a great value. Staff was friendly, and the room was very clean. 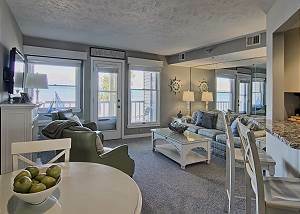 The beach location was perfect; the condo was beautiful, neat and clean. Close enough to the city sites. No complaints. Would definitely stay again. Very clean condo. Beautiful view from balcony. Shower -very tight quarters. 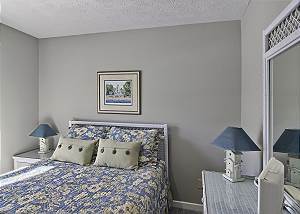 Bedroom small and right on the main walkway.Layout of condo a little quirky but manageable. We loved the condo and it's bayfront location. Hope to return! Felt like home but with the view of the water. Cozy and spacious, clean, stocked with kitchen supplies and shower needs. Comfortable throughout, including the balcony. Close to shopping, dining, wineries, breweries. 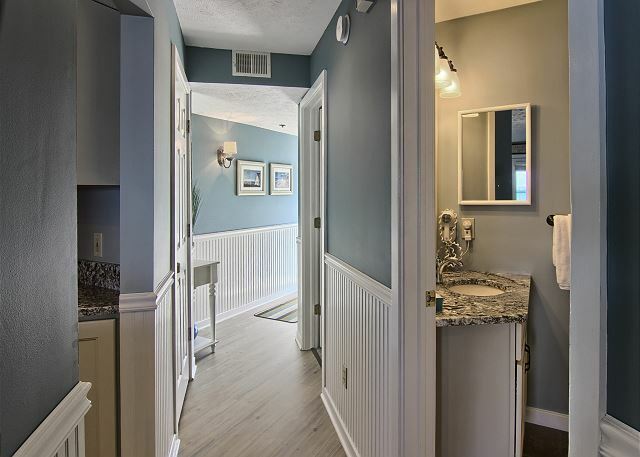 The condo is lovely and we loved the recent remodeling. 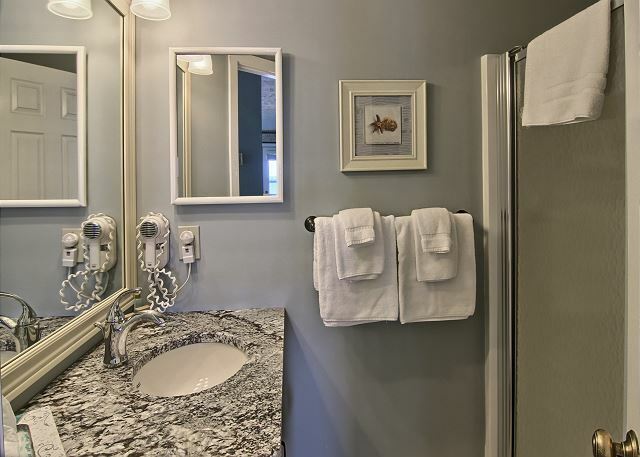 The granite countertops in the kitchen and bathroom are beautiful. The view of the bay is amazing. 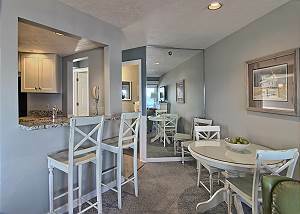 The condo was clean and the property was well maintained. From start to finish, renting this unit was easy and handled very professionally. We would not hesitate to stay here again and have already recommended it to our friends. The condo we stayed at was recently remodeled and in great shape. The staff, especially Kelsey, we very helpful during our stay. The rental was above what I expected. It is very clean , home like, fully equipped kitchen , beautiful view of the lake. The staff was very friendly. I definitely would recommend. This property was great from the start! Clean and very welcoming! We will for sure stay here next time we are in Traverse City. I used North Shore Inn to stay at for a week long work event. I just couldn't imagine staying 5nights in a hotel room no matter how nice.Having a full kitchen, living room and just a sense of Home made this trip very comfortable which I know improved my performance at my job.